Even in the face of rising interest rates and the current business cycle, Jason is still bullish when it comes to investment opportunities during the upcoming Trump administration. The future of the investment economy will be discussed during the next Meet the Masters Live Event. 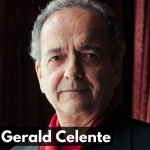 Today’s guest Gerald Celente makes his third appearance on the Creating Wealth podcast. Gerald is the Founder of the Trends Research Institute, Publisher of Trends Journal and Editor of Agora Financial’s Breakthrough Technology Alert. The previously pessimistic trends analyst has changed his outlook on America’s economic future by 180 degrees in the direction of positive. [1:40] All over the world people vote out what they want out. [3:21] The current shift is a shift away from big government not towards Socialism. [5:23] The Businessman-in-Chief is a bottom line guy. [6:49] The media world, the political world and the real world. [11:20] It’s time to take advantage of opportunities and play the “Trump” card. [13:46] The U.S. needs to become a self-sustaining economy. [17:44] The Fed’s will raise interest rates several more times. [23:00] Will there be war under a Trump administration? [25:22] Closing thoughts and contact information for Gerald Celente.